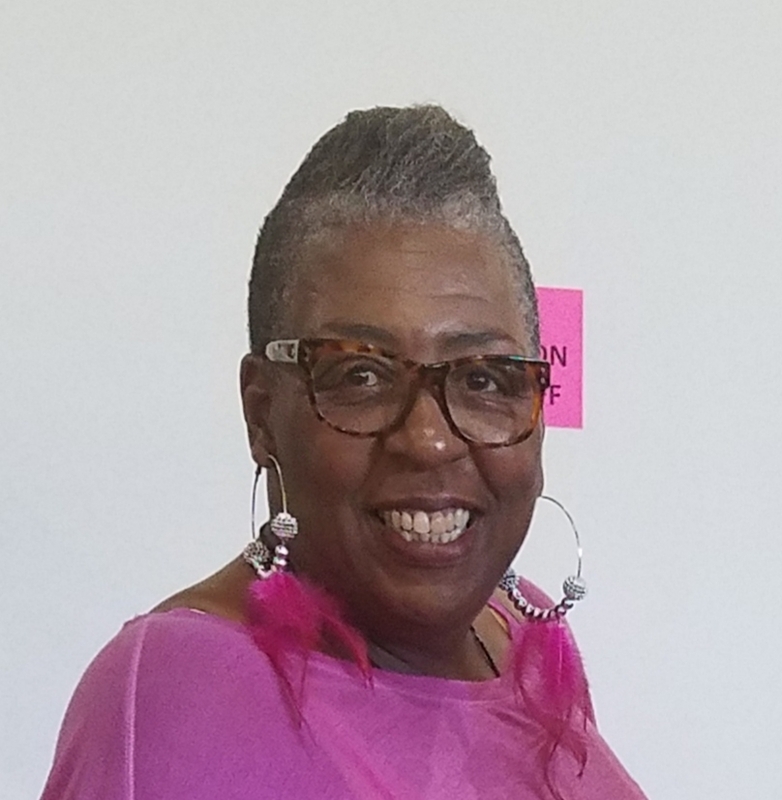 Joan Brown, executive director of PPJPC in the early 1990s, came to Colorado Springs last week to talk to an audience of 20 at Grace Episcopal Church about her work in New Mexico. 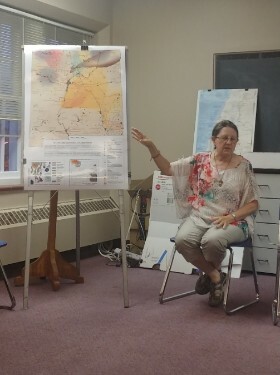 Brown and Sister Marlene Perrotte talked about their work with New Mexico Interfaith Power & Light, as well as affiliated nonprofits, to halt water and land contamination in the state from a range of energy and weapons projects. The newest threat is a “depleted uranium hexafluoride deconversion project” west of Hobbs, NM, not far from the WIPP nuclear waste site near Carlsbad. Hearings have been ongoing in 2018 to have nuclear fuel rods from nuclear plants throughout the country sent to Hobbs for placement in unstable “interim” metal canisters. New federal legislation, HR3053, would allow the new Holtec site in Hobbs, and a sister facility in Andrews, TX, accept waste in the absence of a long-term nuclear waste site in the nation. Brown and Perrotte have been working to alert communities in southeast New Mexico to these plans, and also have been working with indigenous pueblos in the northwest part of the state over continuing dangers of contamination from the Los Alamos National Labs. Perrotte gave a presentation about her work fighting federal ICE attempts to separate immigrant families. These efforts preceded the Trump administration, she said, and involved a substandard ICE holding facility in Artesia, NM, and a newer facility in Dilley, TX. 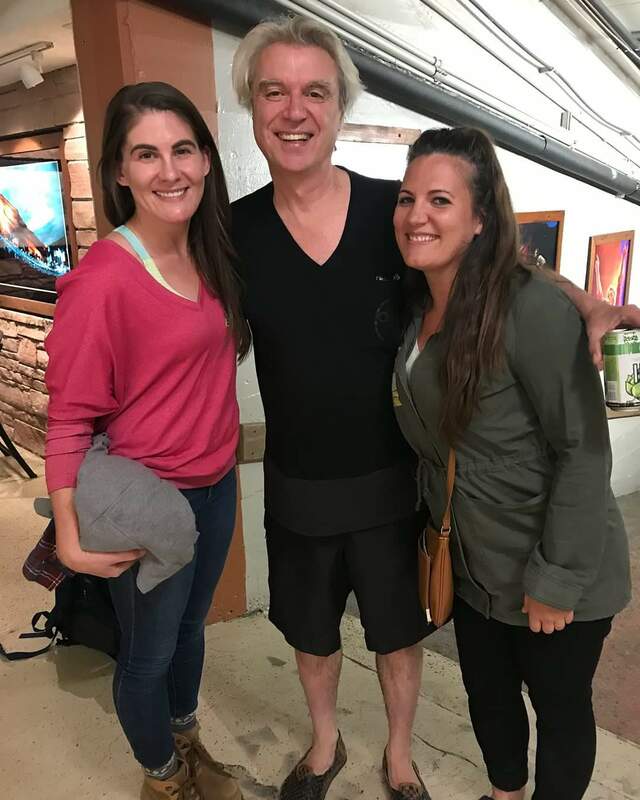 Sarah Jackson, keynote speaker and award recipient at January’s PPJPC Annual Meeting, received an unexpected shout-out from solo musician and Talking Heads founder David Byrne on Aug. 27. Byrne, currently touring North American in support of his American Utopia work, chooses one local nonprofit at each concert stop to publicize and support. For Colorado, Byrne chose Aurora-based Casa de Paz, an immigrant support organization which Jackson founded. Jackson and her sister were invited backstage to meet Byrne. 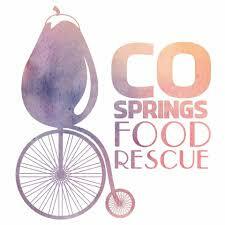 CS Food Rescue Needs Your Help for Fresh Food Connect! 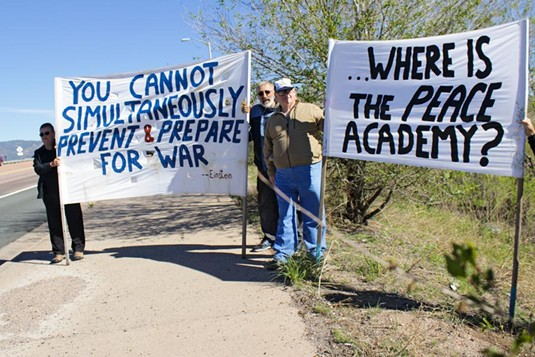 Peter Sprunger-Froese is working with Al Zook from Denver to expand the traditional Friday peace bannering schedule to a week of bannering at two military bases to raise the issue of conscientious objection to war. On Wednesday morning Sept. 5 and Friday morning Sept. 7, they will be at the B St. gate of Fort Carson from 7:15 to 8 a.m. There will be bannering at the north gate of Peterson AFB on Thursday morning, Sept. 6 from 7:15 to 8 a.m., and on Friday afternoon, Sept. 7, from 4:15 to 5 p.m. Those interested in joining can call Peter at (719) 357-2906 for more information. 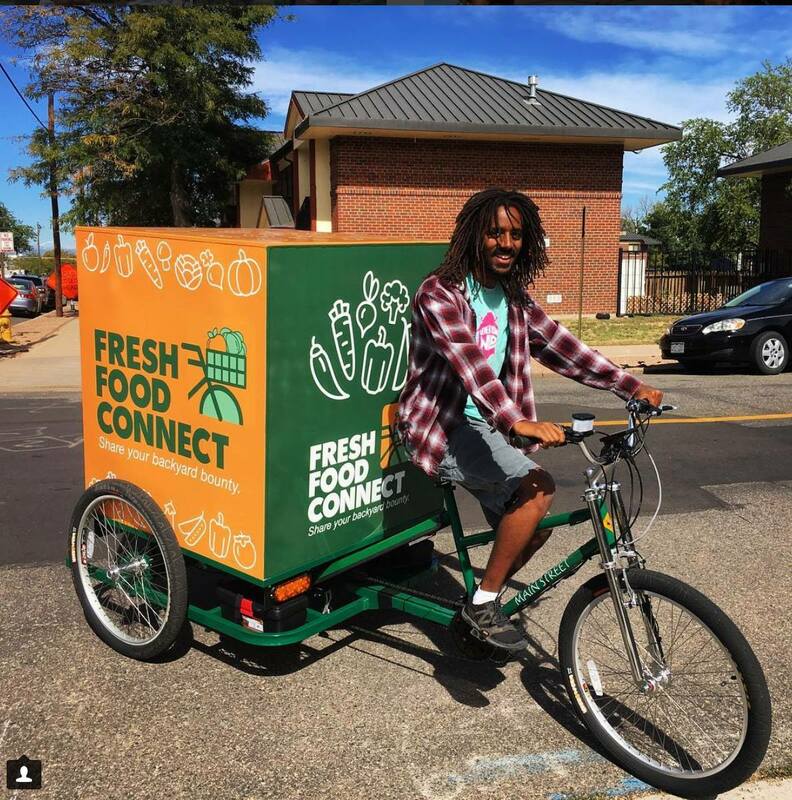 September Urban Experience Walk 12 Days Away! 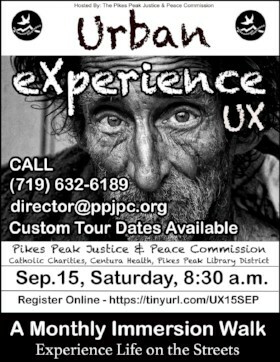 Our next Urban Experience walk with Pikes Peak Library District is less than three weeks away. The EventBrite signup page is open now for Sept. 15, and further fall walks are planned for Oct. 19. Nov. 17, and Dec. 14. Suggested donation is $25 for class materials. You can sign up for the Sept. 15 walk HERE. 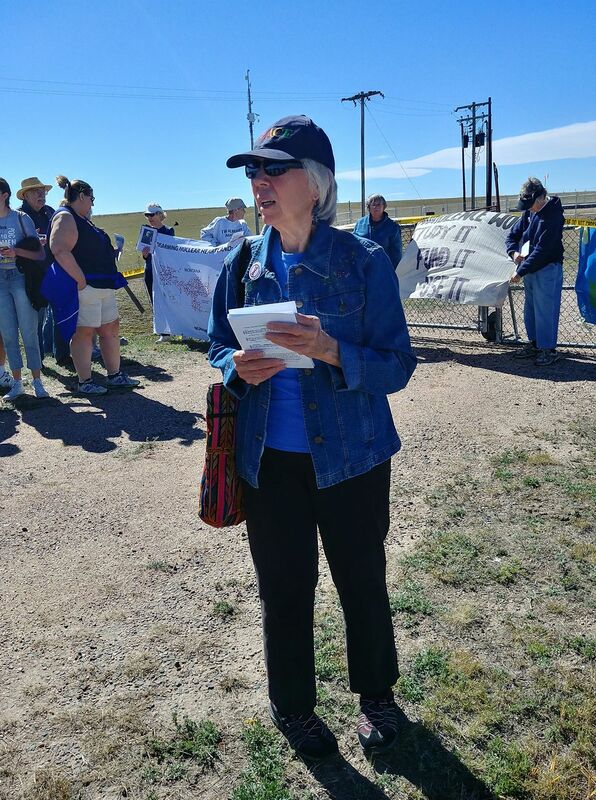 As part of nationwide protests addressing climate change, 350 Colorado Springs will hold a march against Drake Power Plant this Saturday, Sept. 8 in conjunction with Sierra Club and Empowerment Solidarity Network. The event will begin at 2 p.m. at America the Beautiful Park, followed by a march to the nearby power plant. 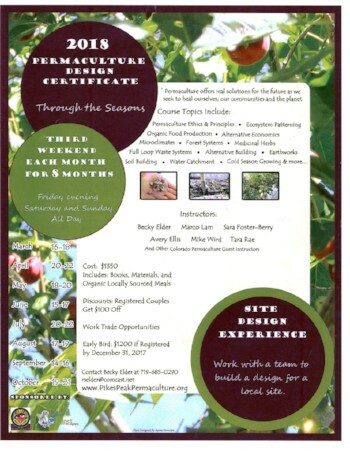 Pikes Peak Permaculture is offering the last two regular monthly series of weekend-long classes, the third weekend of each month. 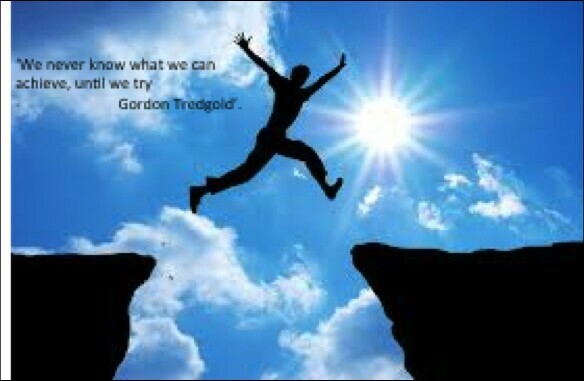 Current classes are scheduled for Sept. 14-16 and Oct. 19-21. The weekend features a Friday evening introduction, and full days on Saturday and Sunday. Becky Elder, who led the Sunrise Gardens class on Feb. 17, will head the group of instructors, who also include Marco Lam, Sara Foster-Berry, Avery Ellis, Mike Wird, and Tara Rae. The cost of $1350 includes all books, materials, and locally-sourced meals. 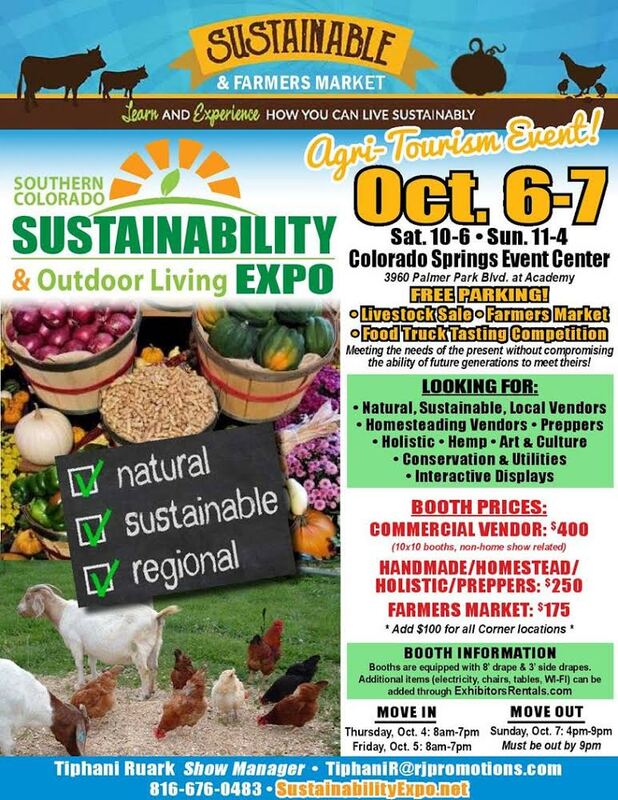 There is a $100 discount for registered couples. 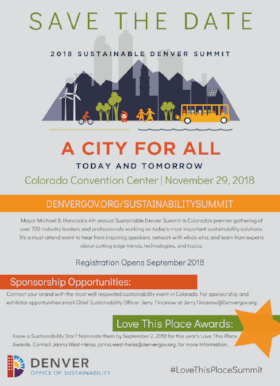 For more information, contact Becky Elder at (719) 685-0290 or rselder@comcast.net.